Looking for a unique gift idea for a beer or cider lover? 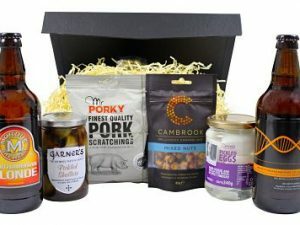 Our beer and cider hampers are the perfect gift for any occasion and all include UK delivery. A beer or cider hamper is a great present idea for him or her for any special occasion such as father’s day or a birthday, with beers available from around the world. 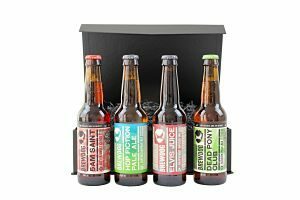 Our online beer and cider hamper selection includes bitter, real ales, lager & craft beer as well as cider. You can choose to have beer or cider on its own or with delicious award winning foods that we’ve matched them with including cheese, pork scratchings, biltong, chocolate, nuts & crisps. A truly remarkable gift that someone will enjoy just as much, if not more, than a trip to the traditional pub! Say hello to the Brewdog Beer Gift Hamper. A selection of craft IPA beers full of soul and purpose. Beer like its meant to taste! 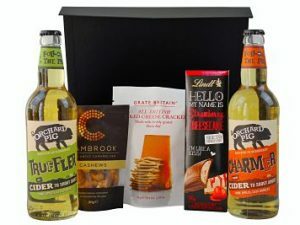 This Cider & Nibbles Gift Hamper is a delight. Choose your favourite ciders to accompany three delicious nibbles to create a perfect gift combination. Send an alternative thank you with The Just Wanted to Say Thank you Gift Hamper. A delicious box of Lindt chocolates teamed with a bottle of your choice. A perfect gesture of kindness for someone special. 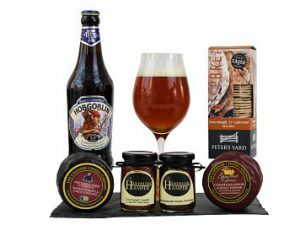 The Pub Classics Gift Hamper is a collection of all the old favourites but brought right up to date with a touch of luxury added. Award Winning ales of your choice. Picked shallots, pickled eggs. Unique caramelised mixed nuts and not forgetting the pork scratchings. How about relaxing with The Gentleman’s Gift Hamper. Full of tasty treats and delights. 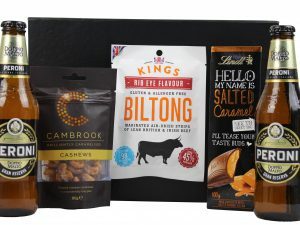 Prestigious beers, mouthwatering Lindt chocolate, tasty Cambrook nuts and delicious Kings biltong . A delicious treat for any distinguished gent to enjoy.